The Tabletop Game Center is located in the Phys Ed building on the 1st Floor. 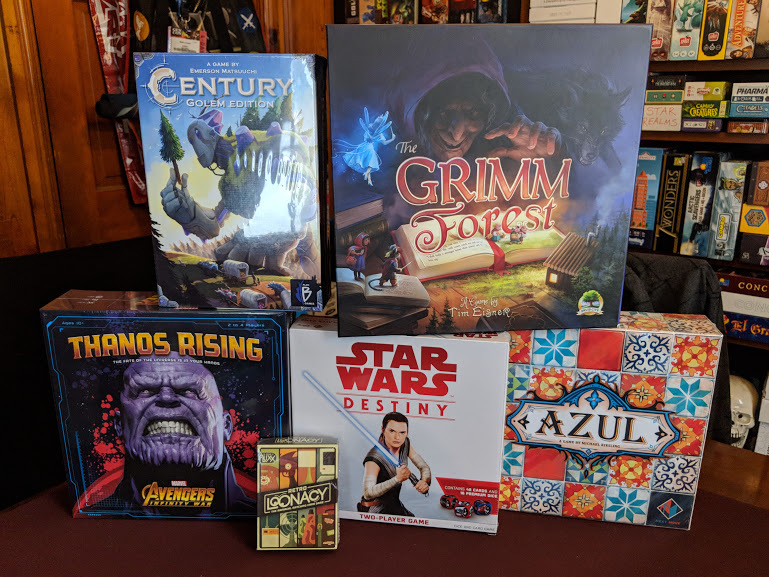 View the 2019 Tabletop Games List – Over 75+ games for All Day Open Play! The 1st Floor Tabletop Game Center features open tables and free play from a selection of 75-100 games. The 2nd floor Tabletop Lounge features scheduled gaming at specific times, RPG sessions, and learn-to-play Keyforge all day. All events and game play in the Tabletop Game Center (and 2nd floor Lounge) is being organized by Game Master Matt Lowder. Tell us some of your favorite card and board games! Join us on April 12th from 4-8pm for the exclusive Board Game Publisher’s Night in the Tech Center! Writer, musician, advocate of libraries, and owner of Louder Games, this is Matt’s third year coordinating our board game area and RPGs. 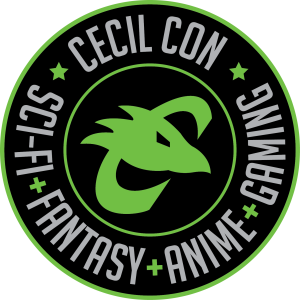 Matt has brought new major board game publishers into the Vendor Hall and special guests for panels this year, adding a valuable dimension to the Con. He has donated dozens of games to the Tabletop Game Center for everyone to play, and additional board games for giveaways in hopes of spreading awareness for a hobby that has positively changed his life. He lives in Maryland with his wife and son, and is currently designing for Louder Games. One of this year’s Tabletop Game Center sponsors is Bel Air Games from Bel Air, Maryland. They opened in May of 2014 to give gamers of all ages a large, fun, family-friendly environment for enjoying your favorite games. Bel Air Games strive to present a constantly changing selection of new games and gaming items for your purchase. Bel Air Games bringing a large number of games to demo, with staff on hand to help you learn the game play on the day of the convention.